Editor’s Comment: This would be terrifying if it weren’t so damn funny… but in the long run, it is very dangerous for this once free country. Expression is being replaced by cheapened buzz terms. 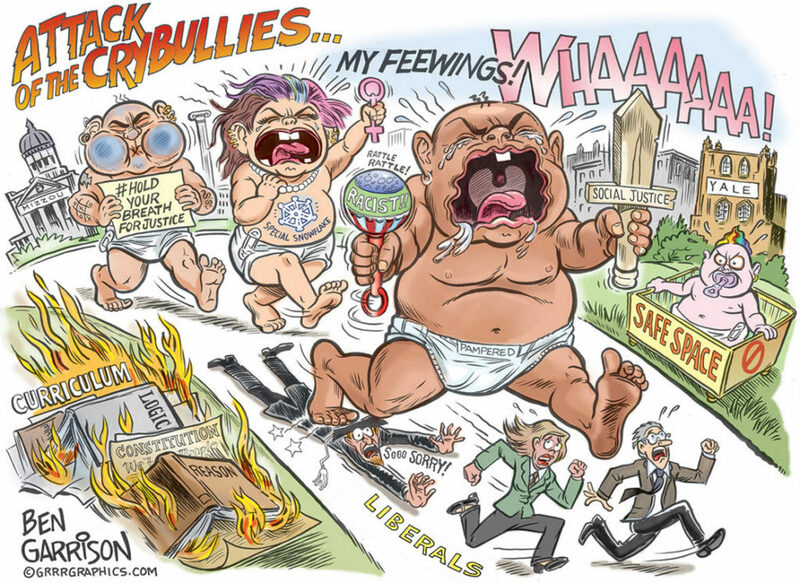 Politically correct speech isn’t just shutting down free speech, it has become a roaming bully. This confrontation at Kansas University highlights the absurdity of basing the entire social dialogue around race, gender identity and stunningly simplistic categories for demanding special privileges – at the direct expense of the rights of everyone else. Regretting centuries of problems that we can’t change now is one thing, but attempting to impose some kind of weighted system that promotes or demotes people in society based on… never mind. There really isn’t an intellectual argument here. These are political toddlers playing out political struggles in a mud fight. After only a few moments, the only satisfactory outcome is that everyone gets dirty, and wishes they had avoided the misery. 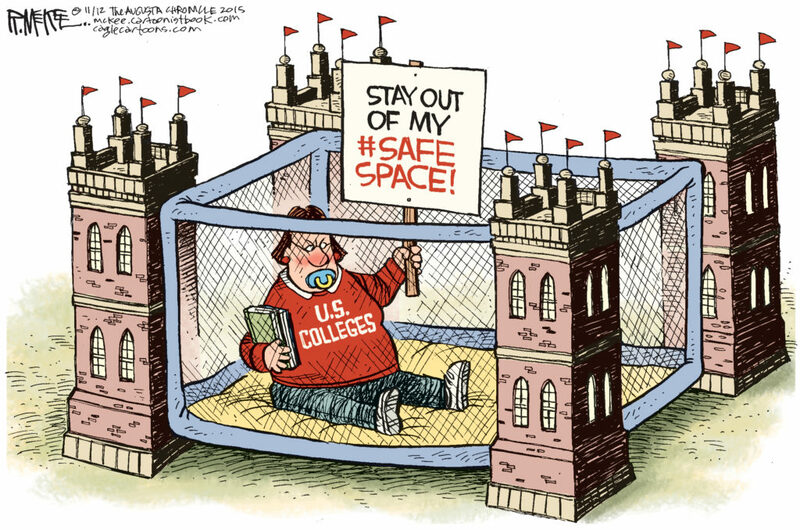 On Thursday night protestors at Kansas University (KU) hijacked a Young Americans for Freedom (YAF) meeting, reportedly unleashing a virulent tirade against the conservative students, providing a glimpse into the crazy arguments of the far Left. The incident occurred after students attacked KU YAF Chairman Gabe Lepinski for posting the phrase, “Facts don’t care about your feelings,” in a group promoting leftist campus protests for transgender rights on social media. 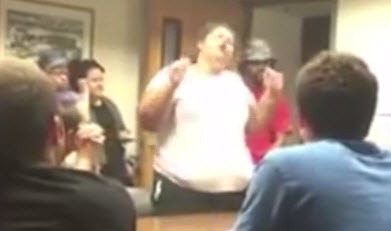 The protestors left the meeting enraged, screaming obscenities as they walked down the hallway. As we have repeatedly noted, no matter where you go in life, someone will be there to offend you. Maybe it’s a joke you overheard on vacation, a spat at the office, or a difference of opinion with someone in line at the grocery store. Inevitably, someone will offend you and your values. If you cannot handle that without losing control of your emotions and reverting back to your “safe space” away from the harmful words of others, then you’re best to just stay put at home. Remember, though: if people in the outside world scare you, people on the internet will downright terrify you. It’s probably best to just accept these harsh realities of life and go out into the world prepared to confront them wherever they may be waiting.